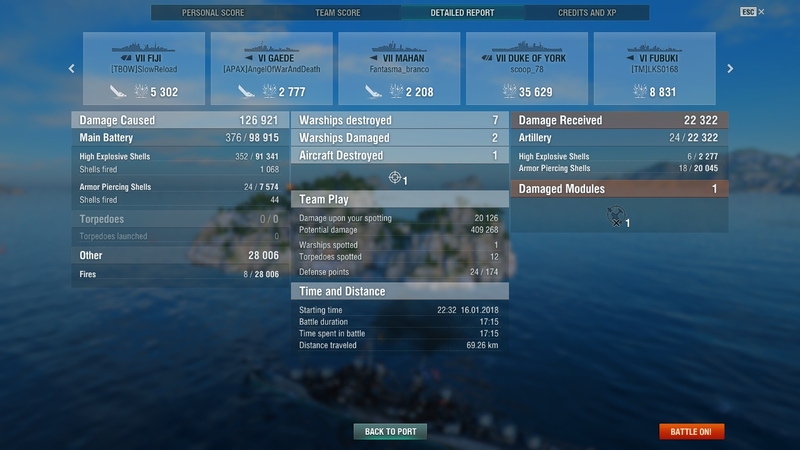 To set the scene, four of our DDs were eliminated within four minutes of the match. 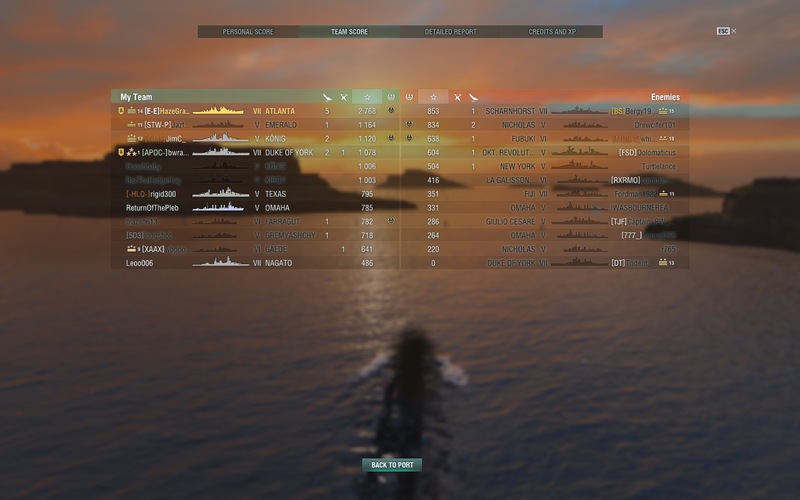 I went on to keep the team alive whilst eliminating 4/5 of the enemy team's DD's as well as bullying a few BB's and cruisers. 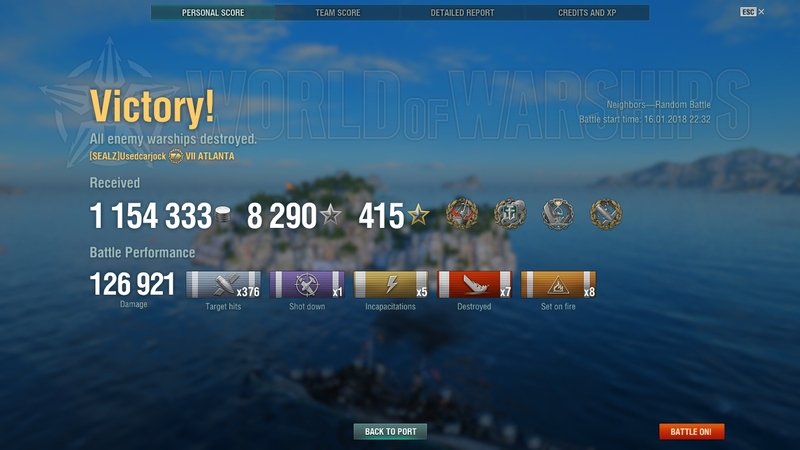 My highest kill game yet and my first Kraken in the Atlanta. 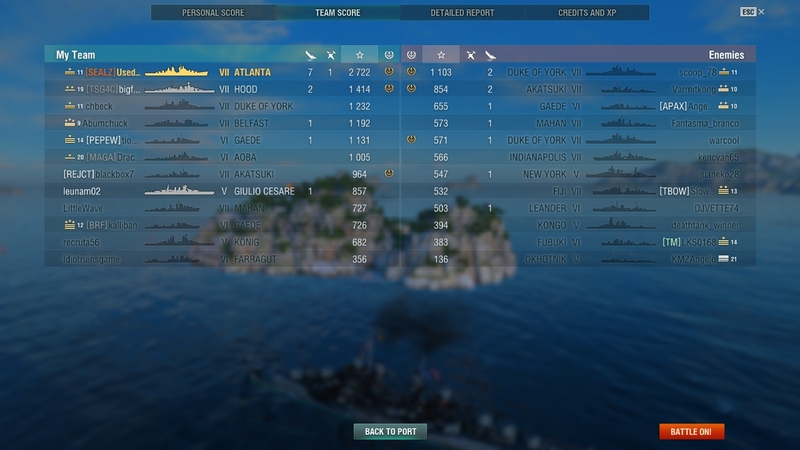 It is widely regarded that the Atlanta is very fun but is mediocre as a ship. Atlanta just needs a good captain. If the captain is good the ship is border-line broken. I don't think the Atlanta as mediocre. In fact its a fun boat that can do a lot of work on the right map. I have a Love & Hate relationship with Atlanta and oddly enough it is my most played ship. The ship excels in a very specific set of duties. This is one of those ships that are dependent on the map for success. Lots of open water? Not good. If you make a mistake, you won't live long enough to make a second one. Her AA however is very valuable at Tier VII as she plays in the heart of the CV population that still plays: Tier V-VIII. In VII-VIII in particular, are some very, very dangerous CVs. She is one of the few AA Cruisers that has potent AA power at long range to shred planes at Tier VII and below. POS AA boats with "supposedly great AA" like New Orleans, Pensacola, Indianapolis have horrid long range AA and need enemy planes to fly over them to have an effect. That's what I call, "Too Late AA." That's not good enough to protect the BBs, DDs of your team. Not Atlanta. You enter that bubble and it starts costing planes. Her AA is going to be more valuable when Tier VI Cleveland goes to Tier VIII with the USN Cruiser Split. Cleveland at that time will be dealing with Tier VIII life: Tier X matches. 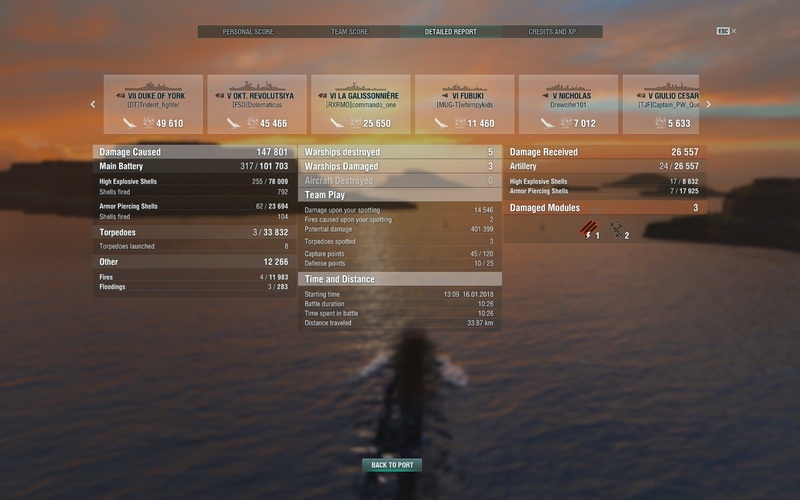 With Cleveland leaving, the stock of true, long range AA killing Cruisers at Tier V-VII will drop to only 1 ship. None of the other Defensive Fire-capable Cruisers at VII and below are good AA Escorts. In Tech Tree Cruisers, the Germans are the first ones to have long AA Cruisers with prowess in that duty... Admiral Hipper at Tier VIII. Even then they don't reach the 7.2km of Cleveland and Atlanta. And Hipper as a VIII is saying "Hi" a lot to Tier X. 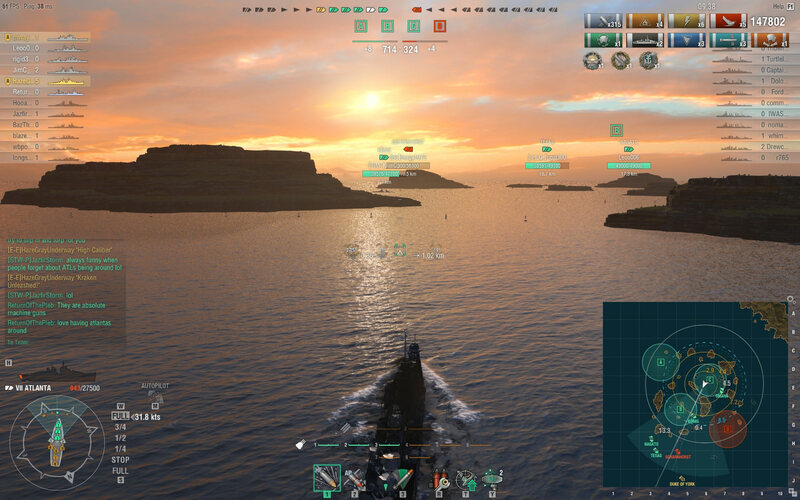 Other Cruiser lines don't start fielding long range killer AA until Tier IX, if the line was even capable of the sort at all. So when Cleveland leaves taking her 127mm dual gun DP turrets x6 to Tier VIII, Atlanta is the only one left with true team air defense at VII and below. One of my favorite ships, extremely fun to play. I love burning down BBs with the hose of flame, and obliterating any DDs foolish to come close enough. Atlanta is way too strong for her tier but at least she's balanced by a high skill floor required to play her. When played correctly she is very versatile and can come out ahead in almost every situation even when against higher tier ships. I've only had her a few weeks and almost 50 battles, but she's become a favorite. With the right position and cover, you can hold off enemy ships all day. I love planting myself next to a cap or between a couple of them, planting my flag, and saying, "Come at me bro". Of course sometimes a bunch of them come at me, and it doesn't always end well. You're reliant on others to spot for you, unless the enemy comes in radar range. But it is very satisfying to melt BBs in a minute or less when they come to a stop behind some cover and think they're nice and safe. DDs fall apart at a lovely rate as well. 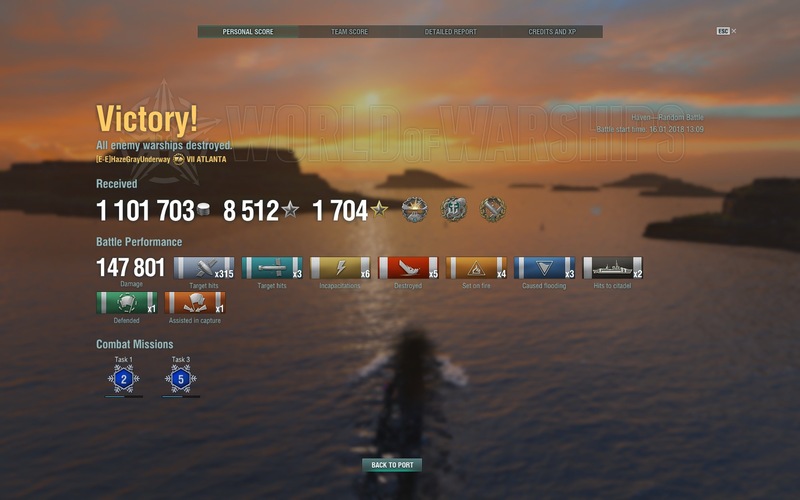 Torps are decent for wiping out those hard charging bastards who have had enough of the HE spam and are willing to end it at any cost. I can only imagine what the Flint must be like, with that smoke to give you portable cover and get you out of those jams that can quickly eat up an Atlanta.